September is my Austen Month—and what better way to kick-start my Jane Austen Marathon than with her first published work (and a personal favorite), Sense and Sensibility? Yes, I do intend to get swept off my feet by the wicked and dashing Willoughby. I also fully intend on immersing myself completely in Marianne’s and Elinor’s affairs. Never mind that I’ve read this novel far too many times for my own good—five times, but who’s keeping count, right? I will reread each of Austen’s novels and review each work. If all goes well, I’ll also be making side-by-side comparisons when it comes to character development, technique, and the general plot. That may seem like a tall order, but ever the Girl Scout, I have started reading Sense and Sensibility. I started a couple of days ago and things are just about to get juicy. Just anticipating what will happen next creates a strange feeling in my bosom. A feeling that can only be accurately described as nerdgasmic. I can see a few changes in that list happening. But I refuse to replace anything without having finished all six of Austen’s novels. 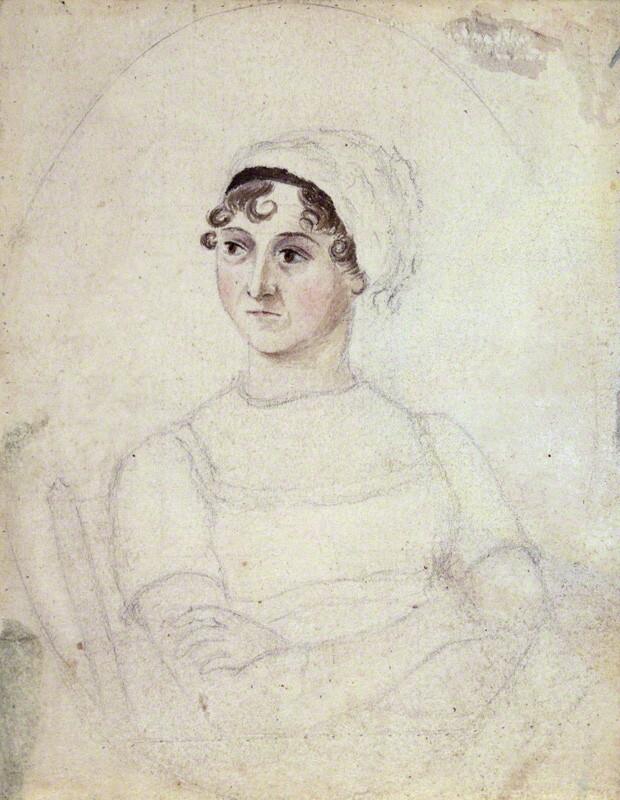 Now, I plan on reading her works by order of publication—which means I’ll start off with Sense and Sensibility (1811), followed by Pride and Prejudice (1813), then Mansfield Park (1814), then Emma (1815), then Northanger Abbey (posthumous, 1818), and finally, end with Persuasion (posthumous, 1818). Should be a great month, I think. And, back to reading. For an English student, shockingly, I have only ever read Mansfield Park, although Northanger Abbey is next on my reading list. No one seems to like Mansfield Park but I really enjoyed it, so hopefully when I get round to reading the rest of her novels, I will love them even more! Next summer I may attempt to read her other works! I look forward to reading your reviews! You know what, reading Mansfield Park the second time, I can say that it does grow on you. However, I think people gravitate towards “Pride and Prejudice” and “Sense and Sensibility” because they’re easier (and more exciting) reads that feature more relatable characters. Strangely enough Fanny didn’t bother me all that much. She was pretty pathetic in terms of a character but Mary Crawford just really annoyed me so I think Fanny won over anyway. I wouldn’t exactly say that I ‘liked’ her but I didn’t dislike her either. I will definitely let you know what I think! I’ve read P&P and Emma, which I liked. Her other works are in my ever growing to read-list. Are you on goodreads too? Ok, had to approve this in case you can’t see my message. I’ll see what I can do. Okay, hi! Just researched this. Can’t do anything about it myself, BUT here’s what you can do. Just look for the subscription options. Hope that works. Cheerio!